•The WAIKANAE MUSIC SOCIETY has its own hour-long monthly radio programme "Concert Notes" which will be on Coast Access Radio. You can listen on 104.7FM on Tuesday 4 October at 12.30pm, and Thursday 6 October at 10pm. Or you can listen now on your computer. Click here "Concert Notes"
•The WAIKANAE MUSIC SOCIETY CHARITABLE TRUST FOR YOUNG MUSICIANS. Please visit our Young Musicians Trust page for details. attendance must surely count themselves hugely privileged” – Music and Vision. No Waikanae Music Society season would be complete without a visit from NZSO Associate Concertmaster Donald Armstrong and his ever-changing Amici Ensemble. Over the years this ensemble has appeared in many shapes and sizes, bringing us everything from trios and quartets to octets and even nonets and giving us the chance to hear many works seldom heard in live performance. Composed mainly of NZSO principal players, plus additional leading chamber music players, the personnel list of this group has been a veritable “who’s who” of New Zealand musicians. Amici’s 2016 programme is devoted to music written for string sextet, but there the similarity ends. The sumptuously romantic introduction to Richard Strauss’s opera Capriccio will open the programme, followed in complete contrast by a new composition from prominent New Zealand composer Anthony Ritchie, commissioned for the Amici Ensemble by Christopher Marshall. The famous Boccherini Fandango, originally for guitar and strings, is a frenetic dance movement that will lead us into the interval in a light-hearted mood. For the second half of the concert we will hear a masterwork - the great second string sextet by Brahms – which has been described as “romantic, highly expressive, but with an air of restraint and mystery, and permeated with a bitter-sweet melancholy”. 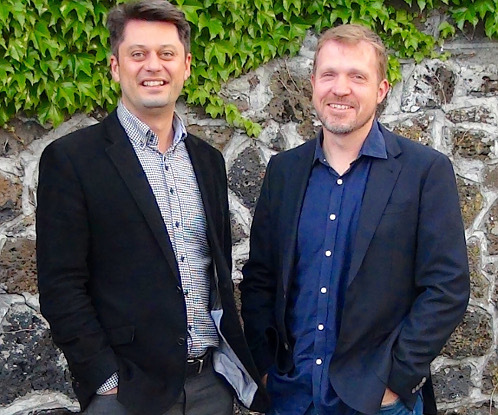 The principal cellist of the Auckland Philharmonia Orchestra, Eliah Sakakushev-von Bismarck, teams up with noted New Zealand pianist Stephen De Pledge to present a concert devoted to the “Three Great Bs” – Bach, Beethoven and Brahms. We have already had the privilege of recently hearing both of these musicians in Waikanae: Eliah in a memorable trio recital with Wilma Smith and Michael Houstoun, and Stephen with Michael Hill Violin Competition winner Nikki Chooi. Now they have joined forces to create a formidable duo partnership. Stylish and dynamic, Bulgarian-born cellist Eliah has a reputation as a magnetic performer. Music reviewer William Dart writes: “His solo contributions in APO concerts have given unmitigated joy.” Stephen, Senior Lecturer in Piano at the University of Auckland’s School of Music since 2010, has been described as "a pianist of immense intelligence and insight”. Their programme contains three sonatas from different eras, all in the key of D Major. The Bach is an intensely expressive and technically demanding work. Beethoven’s D Major Sonata is one of his greatest with its haunting Adagio and fugal Finale. The rich, emotional Brahms sonata was initially written for violin and piano and later transcribed for cello.. 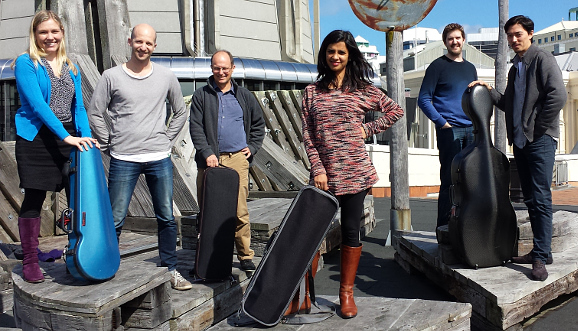 The Aroha String Quartet, founded in 2004, is firmly established as one of New Zealand's finest chamber music ensembles. 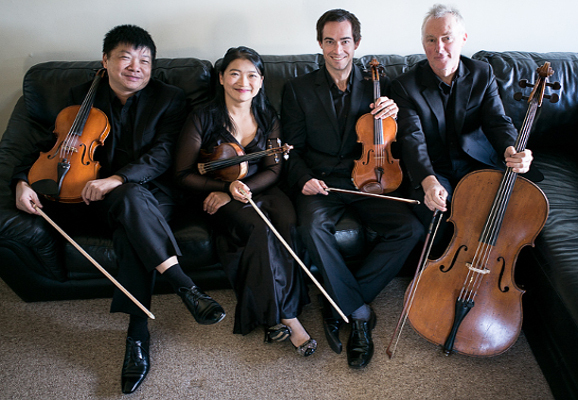 Originally the quartet comprised four Chinese colleagues who had made their home in this country, but in 2009 Haihong Liu and Zhongxian Jin were joined by well-known New Zealand cellist Robert Ibell and later, in 2011, by Kapiti-raised Blythe Press as second violinist. Now that Blythe has left for Europe, the quartet has welcomed new second violinist Simeon Broom who has recently returned from London to join the NZSO, having been in Europe for the last ten years. The Quartet is renowned for interesting and innovative programming, often combining traditional works with new and exotic repertoire. This year, they will play two mainstream works including one of Haydn’s typically elegant and witty quartets. The last and greatest of Mendelssohn’s six quartets, written in response to the sudden death of his beloved sister Fanny, is probably the most impassioned piece of music he ever wrote. In contrast, Piazzolla’s 1956 Tango Ballet Suite evokes the poignant essence of the Argentinian tango in a narrative of six scenes. New Zealander Anthony Ritchie’s 1995 work Whakatipua evokes the mountain landscape around Queenstown. Alexander Gavrylyuk’s Waikanae recital in 2014 was a triumph. The brilliance of this young Ukrainian pianist in every way lived up to his reputation as the winner of First Prize and Gold Medal at the 1999 Horowitz International Piano Competition and First Prize at the Hamamatsu International Piano Competition in Japan in 2000. In 2005, he took the coveted Gold Medal at the renowned Arthur Rubinstein International Piano Masters Competition. Highlights of his 2015/16 season include concerto performances with major orchestras including the Rotterdam Philharmonic, Orchestre de la Suisse Romande, Cincinnati Symphony Orchestra and the Hallé Orchestra. As well, there are solo recitals throughout Europe, UK, US, Russia and Australia, and an extensive European tour with violinist Janine Jansen. Alexander has received widespread critical acclaim for his “elegant” Schubert and the “sheer delight” of his Chopin. 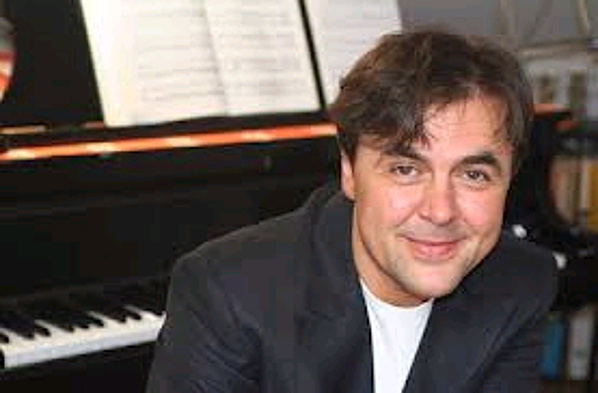 His thrilling performances of the Russian masters Rachmaninov and Prokofiev have been described as “dazzling technique wedded to sensitive musicianship”. We will be treated to works by all of these composers, as well as the fiendishly difficult Islamey by Balakirev – which, according to one reviewer, he plays “with an unassailable bravura in the tradition of Cziffra and Katchen”. This is a concert not to be missed. Alexander Gavrylyuk's concert is generously sponsored by the Deane Endowment Trust. He appears with the kind assistance of the Auckland Philharmonia Orchestra. These concerts are designed to provide local music students with stage experience, (including learning how to acknowledge applause). The first concert at 2pm introduces junior students and at 5 pm more advanced students perform. 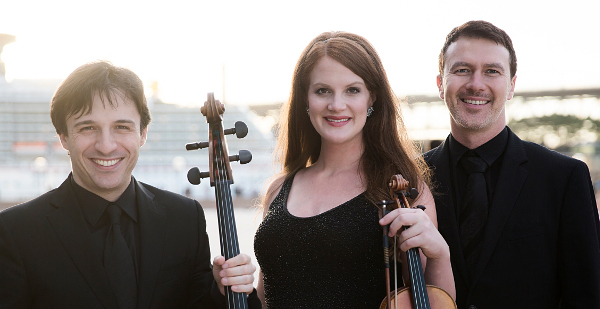 With a New Zealand pianist, a Finnish violinist and a Canadian cellist, the Calvino Trio is a truly international combination. 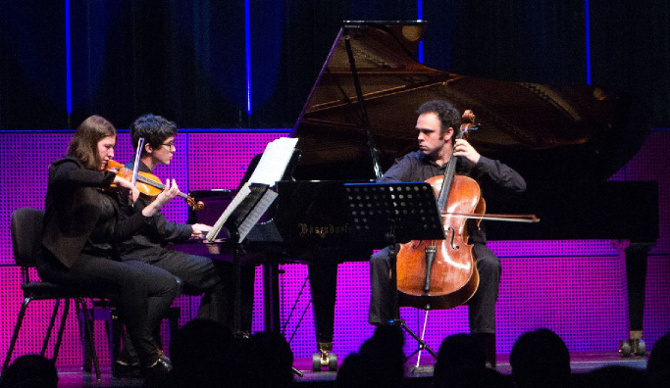 Now based in Switzerland, the trio was formed after the three musicians met in 2013 at the International Musicians’ Seminar at Prussia Cove in England. They quickly went on to win first prize in two major Swiss competitions and now have a busy performing schedule. Pianist Jun Bouterey-Ishido, winner of the 2008 Kerikeri International Piano Competition in New Zealand, has since studied at the Liszt Academy in Budapest as well as in Stuttgart. Violinist Sini Simonsen, a prizewinner in several violin and chamber music competitions, is a graduate of the Sibelius Academy in Finland and the Musikhochschule in Hannover. Canadian-born Alexandre Foster studied in Basel and is an experienced chamber musician, playing in string quartets as well as in a baroque ensemble. 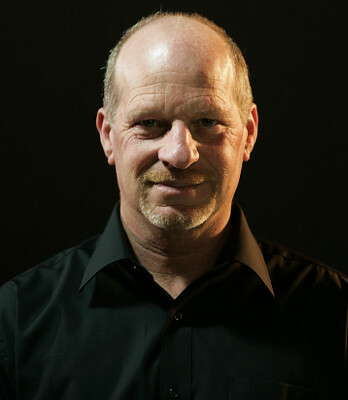 He also holds teaching posts in Stuttgart and Bern. Two of the loveliest piano trios in the standard repertoire will feature in this concert. The glittering palette of the Ravel with its distinctive sonorities, rhythm and colour will contrast with the warmth and melodic richness of Schubert’s Bb Major Trio. Between these two well-known trios will be a work by New Zealand-based Chinese composer Gao Ping. We are delighted to welcome back Oleg Marshev for his third appearance in Waikanae. Born in the Azerbaijani capital city of Baku, he studied at the Moscow Conservatory, graduating in 1988 and winning the Pilar Bayona International Piano Competition in Zaragoza. Two years later he won the gold medal at the AMSA Piano Competition in Cincinnati. Now settled in Italy, he maintains a busy international career as a recitalist and concerto soloist as well as being a prolific recording artist under the Danacord label. He is in great demand as a jury member for international piano competitions and also gives master classes throughout the world, although primarily in Italy. Oleg’s programme is a substantial one, featuring three major works by two composers– Brahms and Ravel. The F minor Sonata, Brahms’s largest piano work, is a composition of symphonic proportions, a masterful combination of free Romantic spirit and strict classical structure. Ravel’s Valses nobles et sentimentales is a suite of eight graceful waltzes, a dance form that fascinated the composer. That is followed by more Ravel - the daunting Gaspard de la nuit, a set of three pieces that together constitute one of the most challenging and virtuosic compositions ever written. “The members of the Trinity Trio are names to watch out for. Sisters Sally and Stella Kim and their friend Tina Kim were all born in South Korea and brought up in New Zealand. 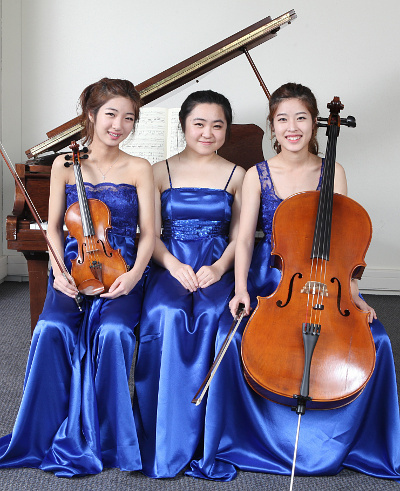 Their trio was formed at the University of Auckland in 2013 and in the same year they won the prestigious Pettman Royal Over-Seas League Chamber Music Scholarship, a prize that has launched the careers of so many of this country’s finest young chamber musicians. As part of their prize-winners’ tour they performed numerous concerts around the UK and received coaching from a number of eminent teachers. Further success came in 2014 when, after attending the Akaroa International Chamber Music Festival, they were invited to perform several concerts in Thailand. Pianist Tina Kim has been accepted into the Masters course at the Guildhall School of Music in London, while Stella and cellist Sally are both continuing their studies at the University of Auckland. The Trinity Trio will play two popular works from the piano trio repertoire, with one of Beethoven’s earliest piano trios and Dvorak’s famous “Dumky” Trio. Gareth Farr’s Ahi is less well known, but no less charming. It is a work of four varied movements - a lullaby, an intensely driving movement, a brief interlude and a Balinese-inspired fourth movement with gamelan-like effects. Michael will play a “half concert” made up of a selection from Book 2 of the “48”, so we can expect to hear some of our favourites and probably a few surprises. For the second part of the concert he is to perform the three Opus 117 Intermezzi by Brahms. Written during the last decade of his life, they contain some of the finest examples of Brahms's supreme composing ability. The concert will conclude with Francis Poulenc’s Three Novelettes and some early works by the French composer Gabriel Fauré. The members of the Streeton Trio from Australia have delighted us on two previous visits, in 2012 and 2013, and we are very happy to welcome them back. At that time they were based in Berlin as the first Australian ensemble to be selected for the prestigious European Chamber Music Academy. Now Emma and Ben have settled back in Australia and are joined by a new cellist, Umberto Clerici, who was appointed in 2014 as principal and is an experienced chamber musician who played for some years with the Trio di Torino. He is one of only two Italian cellists to have won a prize at the renowned Tchaikovsky Competition in Moscow (2011). Trios by Debussy and Beethoven open the concert. Both trios are early works and, in Debussy’s case, his only work for piano trio. More unusual will be Benjamin Kopp’s charming arrangements of three piano pieces by Mendelssohn. The Saint-Saens trio that concludes the concert is a work that deserves to be much better known. It is a substantial work, of five movements, filled with passion, brilliance and inspired writing for all instruments. this is an opportunity for young people to develop stage experience and it helps them to have an enthusiastic audience. The concert follows the Society’s AGM. Non-members are also most welcome. Entry is by donation. There is no set charge. "These pages were last updated on April 19th, 2016"